Shawn Ashmore is a Canadian film and television actor, born in Richmond, British Columbia, the son of Linda, a homemaker, and Rick Ashmore, a manufacturing engineer. He was raised in St. Albert, Alberta and Brampton, Ontario, where he attended Turner Fenton Secondary School, and Earnscliffe Senior Public School and has a twin brother, Aaron Ashmore, who is also an actor. 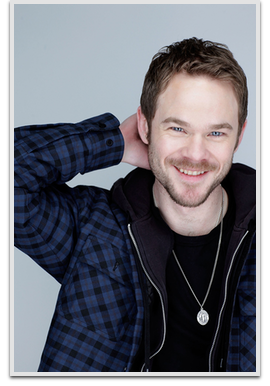 Shawn Ashmore is perhaps best known to audiences as Bobby Drake / Iceman in 2000’s X-Men and its sequels X2, X-Men: The Last Stand, and 2014’s smash hit X-Men: Days of Future Past. Ashmore also reprised his role as Iceman in the animated series The Super Hero Squad Show, as well as voicing the role for X-Men: The Official Game. In December 2004, Ashmore was cast as the lead in the SciFi Channel mini series Legend of Earthsea. Based on the novels by Ursula K. Le Guin, Shawn was cast in the role of Ged, a young wizard-in-training, who takes advice from a Magus (Danny Glover) and falls in love with Tenar (Kristin Kreuk), the protege of the High Priestess of the Tombs of Atuan (Isabella Rossellini). In 2008, he starred as one of the leads in the 2008 horror film The Ruins and was cast in Adam Green’s 2010 dramatic thriller Frozen as Joe Lynch. In 2011, Ashmore starred in the apocalyptic siege warfare film The Day with Dominic Monaghan, Michael Eklund, Shannyn Sossamon, and Ashley Bell and can currently be seen in the Fox television drama series The Following, starring Kevin Bacon.